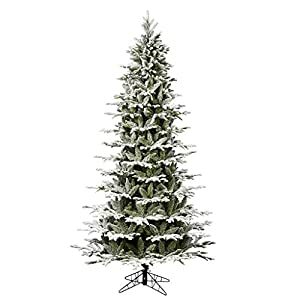 The Red Sleigh Noble Fir Prelit Artificial Christmas Tree offers superior quality and a grand display with its lifelike symmetry and distinctive, popular profile. 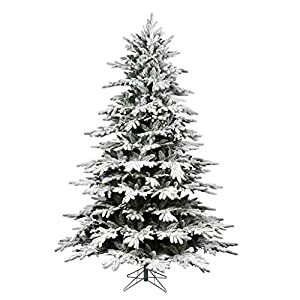 It features Red Sleigh’s trademark TruTip technology – needles that create stunning realism from tip to branch. 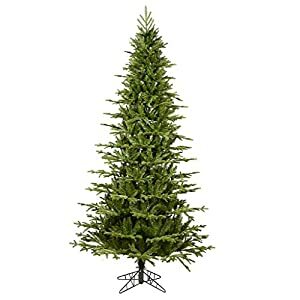 The realistic needles cluster together to form full sprays that give the tree a fabulous look, with natural-looking color variations throughout. A center pole with fully hinged branches all them fold up and down for easy setup and storage. Sturdy metal stand included. Flame retardant and non allergenic with extra fuses included. The lights are long-lasting, energy efficient warm white 5mm LED mini lights, rated at only 0.096 watts per bulb. They’re twist-proof, and 5mm minilights boast a concave lens that creates a beautiful halo of light. LED lights always remain cool to the touch. If one light goes out the rest stay lit. Touches like these are what set Red Sleigh trees apart. Which is why the Red Sleigh Noble Fir is backed by a 10-year warranty. 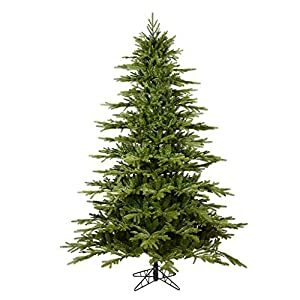 Enjoy your most realistic looking artificial Christmas tree ever with the Red Sleigh Noble Fir.